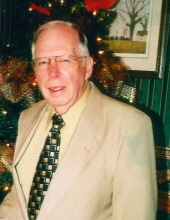 Mr. Roger Holt Lambey, age 83, husband of Nancy Nelson Lambey passed away Saturday, January 26, 2019 at his home. Funeral services will be held 3:00 PM Monday, January 28, 2019 at Arbor Grove Baptist Church with Rev. Elliott Smith officiating. Burial will be in the church cemetery. The family will receive friends from 1:00 until 2:30 PM prior to the service at the church. Mr. Lambey was born December 23, 1935 in Ivydale West Virginia to Varies and Rhoda Rogers Lambey. He graduated from Clay County High School in 1953, attended Glenville State College from 1953-1954. He worked for B&O Railroad and taught school at Adair. He moved to Cleveland, OH in 1955. He built 1955-1958 Chevrolets. Mr. Lambey moved to Florida in 1958 and worked for RCA Missile Test Project, helping put the first satellite in orbit and the 1st man on the moon. He also worked for Lowe’s Companies and Louisiana Pacific. He was a member of Arbor Grove Baptist Church. In addition to his parents he was preceded in death by a grandson; Matthew Lambey and a brother; Edgar Lambey. ten great grandchildren; Sophia Hill, Cameron Hill, Cadie Kilby, Colton Kilby, Nessie Higley, William Higley, Caleb Breden, Josh Breden, Aiden Going and Charlotte Going. In lieu of flowers memorials may be made to Wake Forest Care At-Home Hospice, 126 Executive Drive, Suite 110, Wilkesboro, NC 28697 or Arbor Grove Baptist Church, 196 Arbor Grove Baptist Church Road, North Wilkesboro, NC 28659. To send flowers or a remembrance gift to the family of Roger Holt Lambey, please visit our Tribute Store. "Email Address" would like to share the life celebration of Roger Holt Lambey. Click on the "link" to go to share a favorite memory or leave a condolence message for the family.